We manufacture, export and supply a premium variety of dry Chutney Powders. Quality raw materials used, finely hand graded and roasted carefully to make good quality of Idly Spice-Mix Powder. 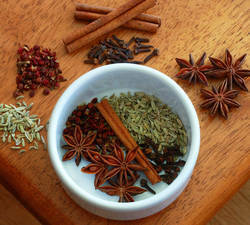 It is amalgam of five spices with individual distinct flavor and taste. 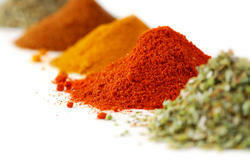 We have a range of Mix Spice powders. This is a blend of aromatic seeds. Are key ingredients for enhancement of flavor of the delicacy and to some extent they also serve as preservatives. They tantalize the taste buds with a pungent flavor that make the meal wholesome in terms of taste and for satisfaction. Use to flavour marinades for fish, chicken, seafood, vegetables and tofu. Add to stir fries, noodles and rice.